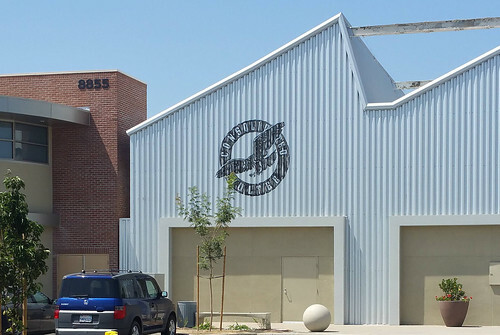 Recently Big City was given the task of reproducing the Consolidated Vultee Aircraft Corporation logo on the building front of an upcoming museum. The Promenade at Downey retail development in Downey (near Los Angeles, California), was built on property that was used by this company in Downey's rich history in the Aerospace industry. The project included making the logo look like it had been weathered and aged - in a "ghost sign" style. Got to love that corrugated metal, too. Here are some progress photos, and the final result.